This has been quite a summer for our Meadowlark wine! 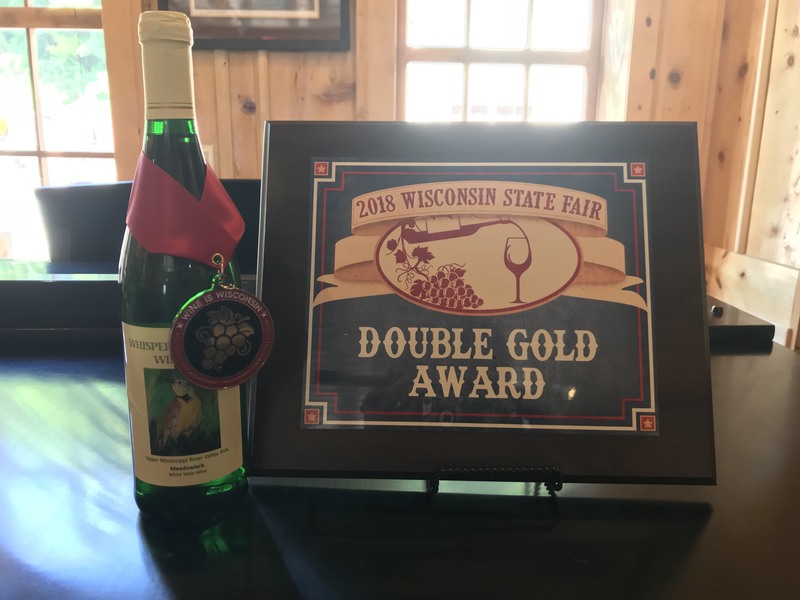 This semi-sweet white wine brought home a Double Gold medal from the Wisconsin State Fair Professional Wine Competition. Soon afterward, it won a Silver medal from the Wine is Wisconsin wine competition at the University of Wisconsin in Madison. Meadowlark takes its name from a gold-breasted grassland songbird with a distinctive black “v” on its breast. We produce the wine from 100 percent Brianna grapes. This cold-hardy grape was developed by pioneering grape breeder Elmer Swenson. 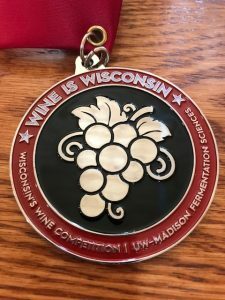 Both competitions were open only to Wisconsin wineries. Winemakers could enter wines produced from 75 percent or more local grapes, fruit or honey. Meadowlark was on display at the Wisconsin State Fair, August 2 through August 12. 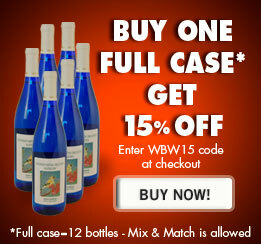 Stop by our tasting room to sample this award-winning beauty while supplies last!